These were in Lebanon when I was there in 2009 they look cool but when you see them up close I thought it looked a bit small especially compared to some of the other 4wds going around. got to hop in one and go for a drive when a rep dropped one off at work for a look. Surprisingly roomy inside and they go pretty well with a V6 under the hood. 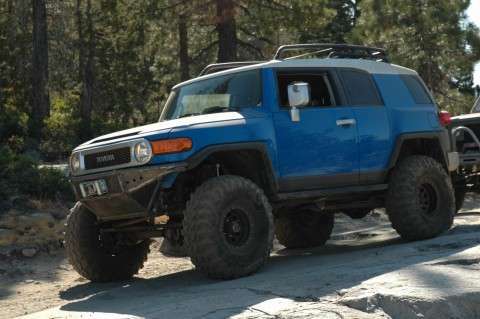 It sits on a 120 series prado chassis so its fairly capable offroad even with independent front suspension and because its a Prado chassis a 1KD diesel should slot in very easily. Seen one in person the other day. I think there fugly. 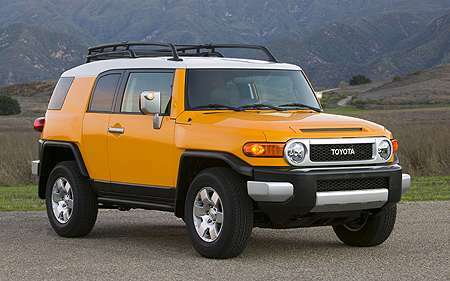 It kind of looks like Toyota tried to make their own take on a Hummer. Saw 2 around Adelaide now (Blue and an off Yellow one) and don't like how they look at all. Looks like it has a solid diff conv? 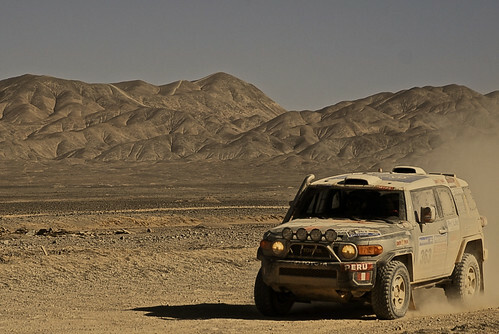 http://www.toyota.com.au/fj-cruiser/discover?WT.ac=VH_FJCruiser_HPB_Heritage360Spin_SeeTheFJCRuiserinAction Filmed a little series on it in South Australia.. This could be interesting. They are pretty big in person. Seen a few driving around. They look abit to city orientated. Not ready to get muddy or bush. They look best in Black, but stock they do look ridiculous. Hummer wannabe, looks cheap as too. coils in the back of a ute are no good as they reduce the load capacity, the 70 series are comercial vehicals even though the 79 troopie has rear passenger doors now. thats the only fault you can find with these cars?